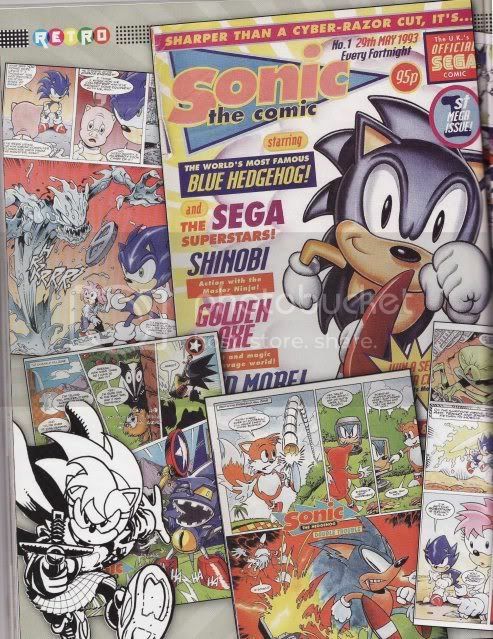 Sonic the Comic retrospective features in this months Games TM! I picked up my copy of Games TM from my local Tesco store today and, to my surprise, saw a four page article on Sonic the Comic in the retro section. Games TM is a popular UK released multi-platform gaming magazine that is published each month, with Reviews, Previews and Articles on games and the industry as a whole. In my opinion, Games TM is the best gaming mag on the UK market along with their rivals, EDGE. The Sonic the Comic article doesn't tell us anything ground-breakingly new, though provides an interesting read and shares a few words from Richard Elson, Nigel Kitching and Nigel Dobbyn. There are some lovely pictures of strips and a little tid-bit on Sonic the Comic Online too, something Games TM seem to enjoy themselves. 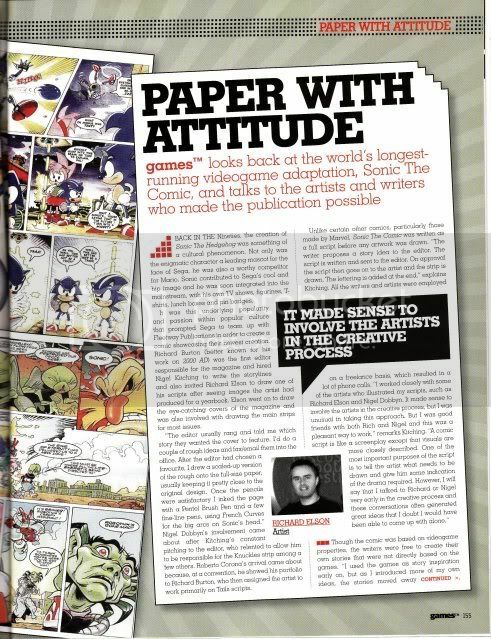 It also mentions censorship within the series (something Dobbyn touched upon at Summer of Sonic with the Knuckles 'hanging' scene), what information was given to them by SEGA and their experiences throughout their time working on the comic. Can you please scan the article? I've seen a few scans but they're tiny and I can't read what is written. Thanks in advance. How ironic...I just cancelled my subscription to GamesTM! I've been a reader since issue #1, but the last couple of years, the magazine just bored me to tears. 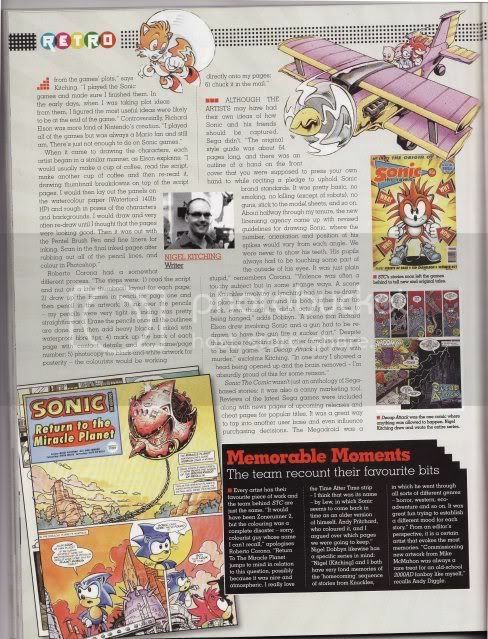 The only interesting bit was the retro bit at the back (they cover Sonic quite a bit actually - they did a 4 page section on the worst Sonic sidekick ever in the last 6 months...I believe Charmy Bee "won"). I get Retro Gamer instead now. Still, i'll go to WHSmith's and check it out. Thanks for the heads up! I wouldn't mind getting into Retro Gamer myself, it's advertised a lot in Games TM. It's written in the same offices or something isn't it? 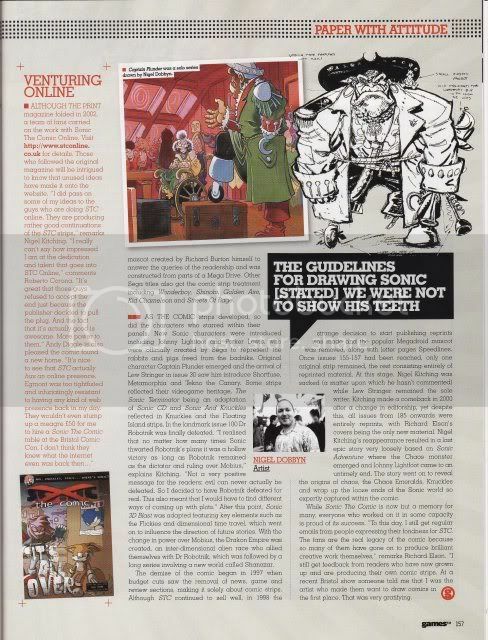 Jamie J from STC-O posted the scans of these, they're a bit small but still (just) readable. Captain Plunder is one of those original characters that cannot fail. StC was decent, but it could have benefited from having two or three longer stories, instead of seven, six page stories. Hmmm methinks I must pick this mag up. wouldn't mind getting into Retro Gamer myself, it's advertised a lot in Games TM. It's written in the same offices or something isn't it? I think it is. Either that, or the guy who used to the the editor for the GamesTM retro section became the Retro Gamer editor. It's worth a go - it's a very interesting read, and covers all bases! Awesome Asteriods cover this month too. I've never read the European Sonic comics. I'm American, so I've only read the Archie ones, which I think are good, but I heard the European ones are much better. I might check the Comic section on this site to see if they have the European ones.